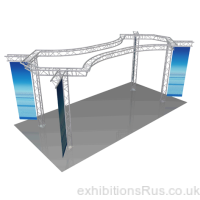 System 35 Gantry Systems. 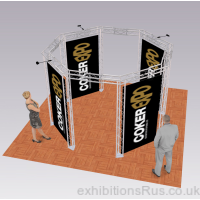 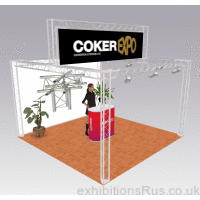 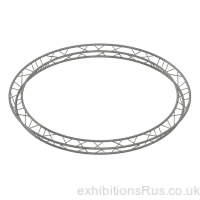 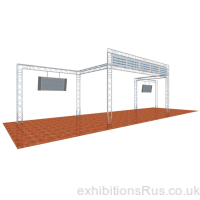 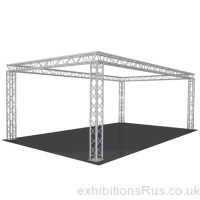 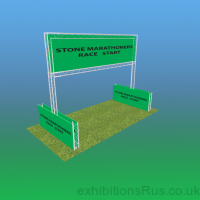 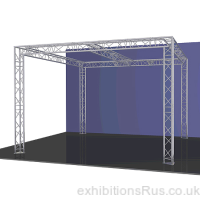 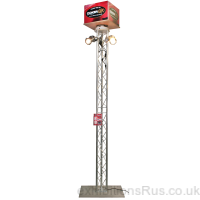 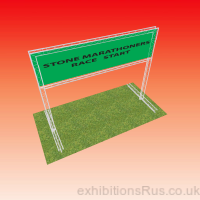 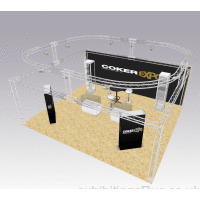 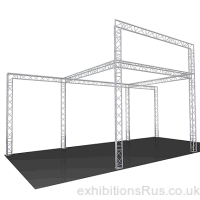 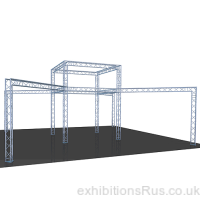 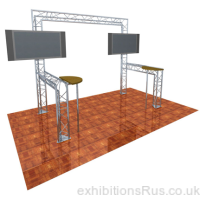 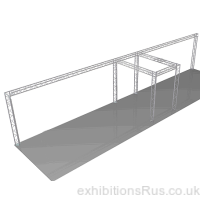 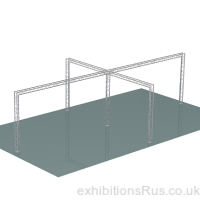 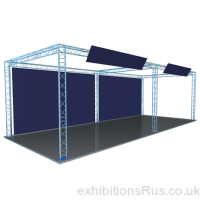 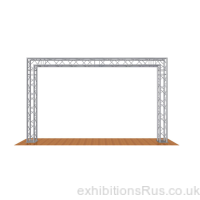 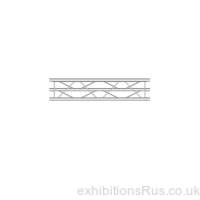 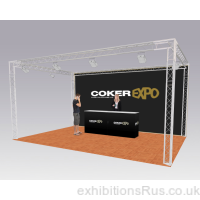 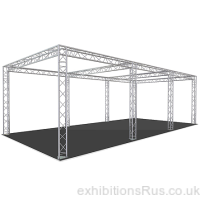 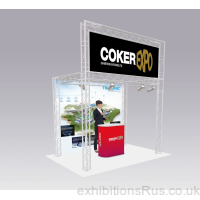 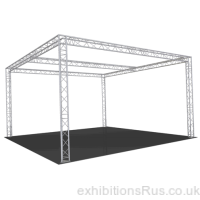 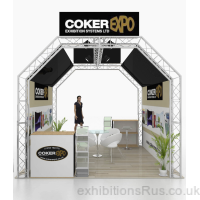 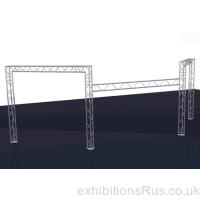 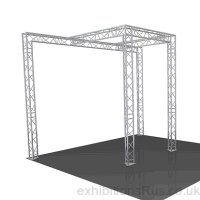 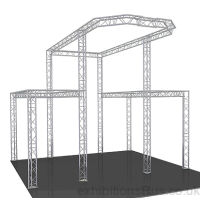 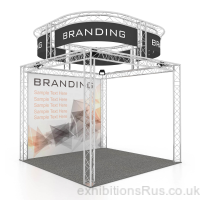 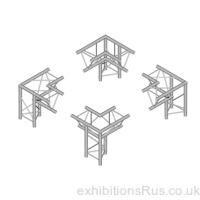 Use System 35 lighting truss (35mm tube) for exhibition stands and aerial lighting rigs from 2 metres to 20 Metres and System 50 (50mm tube) for larger or outside display stands and events. 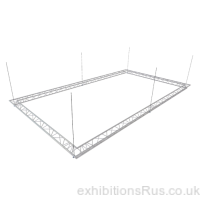 System 35 trussing has a maximum span between legs of 10 metre's with normal weight loading. 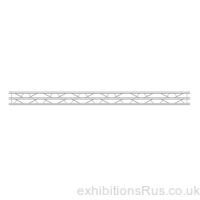 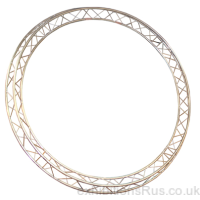 Section lengths available from 0.25 meters up to 3M. 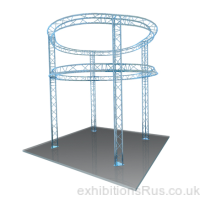 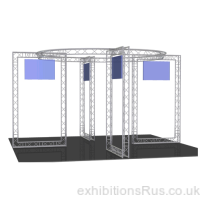 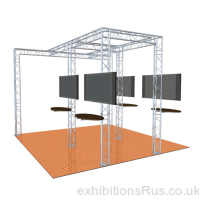 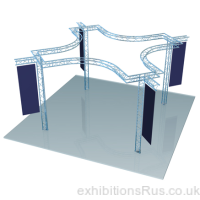 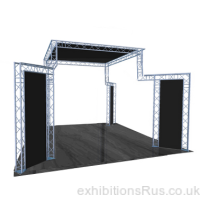 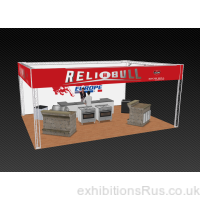 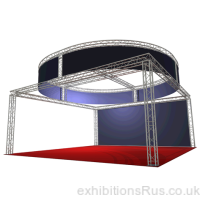 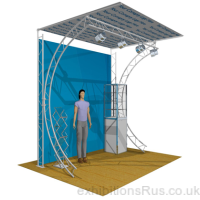 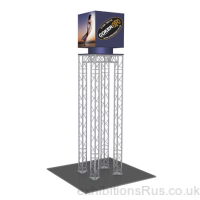 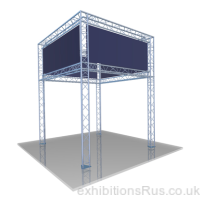 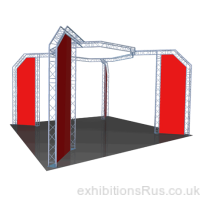 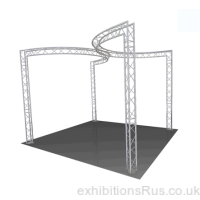 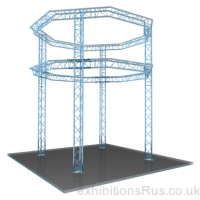 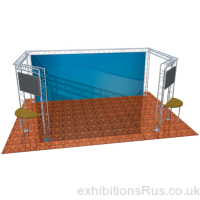 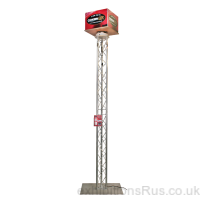 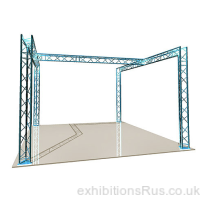 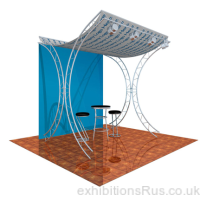 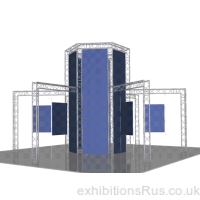 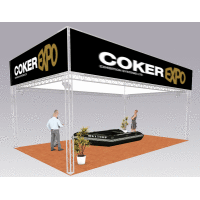 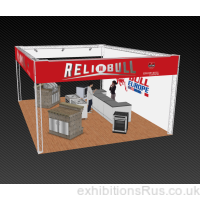 An extremely flexible gantry system, it can be built to a multitude of shapes and sizes accommodating this and the next show which could have a different size floor area. 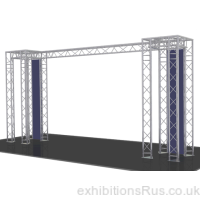 System 35 lighting truss is light weight yet very strong, being made of aluminium. 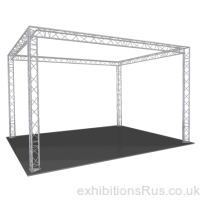 Our truss systems are quick and easy to assemble, only a mallet required, no other tools. 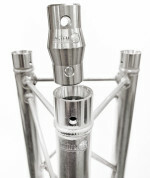 System 35 gantry uses a solid aluminium conical fitting between 2 sections giving great strength without deflection. 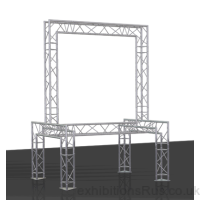 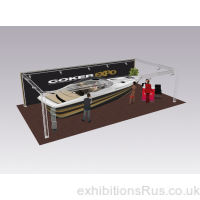 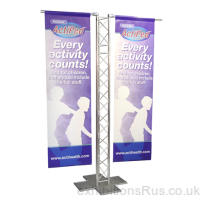 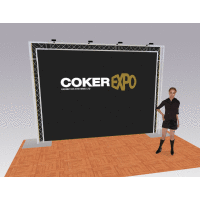 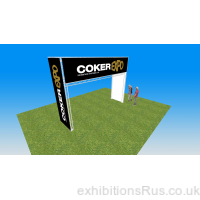 Suitable for hanging LCD screens, projectors, display and exhibition lighting array's and any branding requirements such as fabric and Pvc graphic banners. 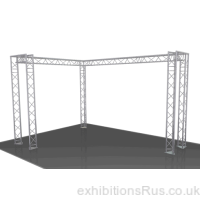 System 35 lighting truss is normally in stock held in our warehouse. 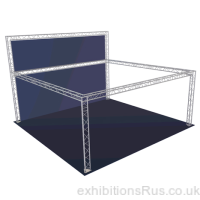 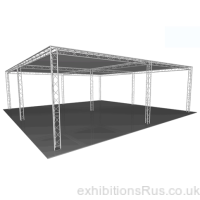 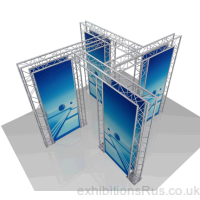 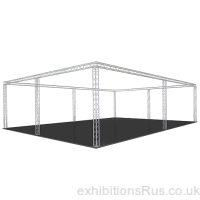 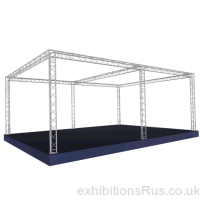 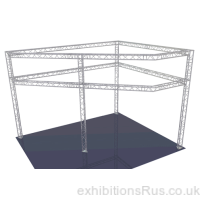 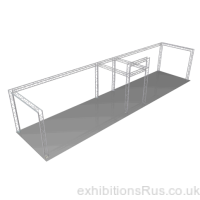 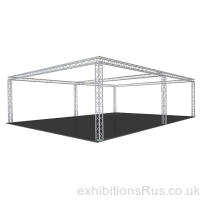 Should you require a little help on your first set up we can provide trained and skilled staff to attend your first event or installation venue to walk you through your truss systems set up. 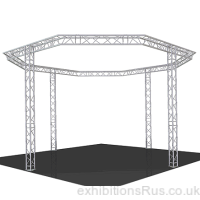 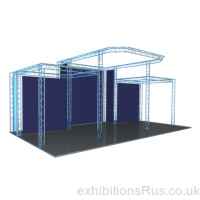 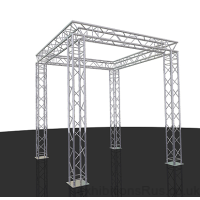 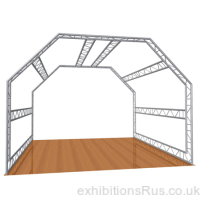 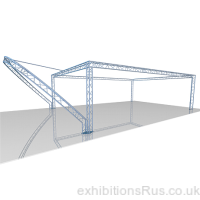 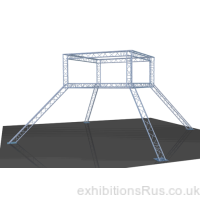 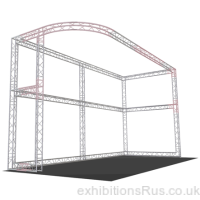 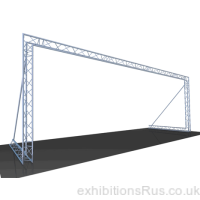 If you have an idea for your own lighting truss design send us a sketch with some dimensions preferred and we can draw it up with our Free CAD design service.